The Holiday season is upon us. Keep up to date on all your Northern Ohio holiday events. 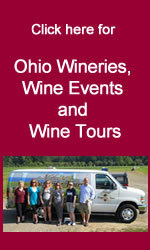 For even more area events check out our Northern Ohio events page. We have made every attempt to confirm all of the following light displays. If you know of additional area light displays, please send us an email with details. VISIT THE LARGEST HOLIDAY LIGHT DISPLAY ON LAKE ERIE! Experience over 70 displays on Lakeshore Park's 54 acres of rolling hills and majestic Lake Erie backdrop. This holiday light attraction with some displays "as big as a truck", is great for creating family memories and family fun. Make it an annual family tradition to enjoy professional light displays in a beautiful picturesque setting. Join us for a day full of festive activities as we kick-off the holiday season in Downtown Cleveland. Parade kicks off at 5:30 p.m. The Jack Frost Festival welcomes the holiday season with fun activities for the entire family. From 5:30-6:30 p.m. local businesses, organizations, churches and schools create floats and march from the municipal parking lot behind City Hall through downtown Berea. The Christmas Tree on the Triangle is lighted by a special firework launched from atop downtown businesses and a spectacular fireworks display follows. Berea is one of only a very few communities in northeast Ohio to offer a parade and fireworks during the holiday season. After the parade, children can visit with Santa. There is also musical entertainment, free cocoa and cookies, a skating rink, ice sculptures, inflatables and more! For more information view Facebook page. The Festival of Lights is a wonderful, family-oriented, Christmas light display that involves over 30 local, non-profit organizations. Take a drive along Sawmill Creek Dr. to experience the lights and meet Santa! Times: Friday, Saturday & Sunday 6 p.m. - 10 p.m.
Thursday, November 29, 2018 from 6:00 p.m. to 8:00 p.m. Cost is $10/car; $2/person motorcoach; $25/season pass. Over 70 fabulous light scenes. Amazing interactive displays at the Gingerbread House and Santa's Ice Castle. Admission: $20 for standard vehicle | additional rates available for passenger vans, buses and limos. Gift of Lights is a family-friendly 1.3 mile drive-thru holiday light display featuring a 100+ foot light tunnel, and over 30 full light static & animated displays and other holiday activities! Kickoff your holiday season when you drive through Lakeview Park to see this year’s cheerful light display in conjunction with “Light Up Lorain” on November 28th. Then join us in the Rose Café from 5-7pm where there will be a photo opportunity with Santa, hot chocolate, cookie decorating, and crafts for kids. The lights will be on every night through December 31st. Other opportunities to visit with Santa will be on November 29 and December 2, 4, 6, 9 & 12. Visitors enjoy displays containing millions of lights and many other holiday-themed attractions. Enjoy a holiday-themed Festive Feast at the Holiday Lodge, Watch the Dancing Lights display near Cheetah Valley, hear the joyous sounds of carolers on selected evenings, and of course don’t forget visits with Santa in the Museum. The City of Youngstown and Youngstown CityScape with the cooperation of media partner WFMJ & the Downtown Youngstown community are excited to host this year’s Holiday Parade and Christmas Tree Lighting Ceremony. Activities include: Live caroling, food & holiday vendors on Central Square & 20 Federal Place beginning at 4:30pm; Parade at 6:00pm; and the Christmas Tree lighting and Santa’s arrival at 7:00pm followed by pictures with Santa in 20 Federal Place. 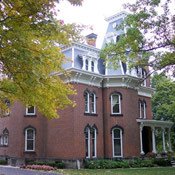 Other coordinated activities include: Youngstown Flea Holiday Flea (Market) at DeYor Performing Arts Center; YSU Student Activities sponsored “Dueling Piano’s” at Suzie’s Dogs & Drafts; Free admission to OH WOW! Children’s Center from 4-8pm; and the Youngstown Phantoms hockey game at 7:30pm at the Covelli Centre. Spend the evening in Downtown Youngstown as we celebrate the holidays, and light up the entire Central Square! Fifteen elaborate light displays will be on display for families to enjoy, free, in a drive through the park. Tune into 88.9FM to enjoy the music with the light show! Winter Celebration at Fellows Riverside Gardens has special extended hours until 8pm to experience the Electric Garden, where the grounds will be lit with thousands of twinkling lights. Animated light display. Tune radios to 107.7FM. A holiday light show synchronized to music on 99.9FM. The Ward Beecher Planetarium’s annual Holiday program combines lights, music, and visual effects with the wonders of the winter season and outer space. Content changes from year to year as we unwrap new titles and visuals. Suitable for all ages. Visit the area’s largest drive-thru light display! Many families have the holiday tradition of piling into the car to look at all the Christmas lights. Even if it has not been a part of your tradition in the past, now is a great time to start this future family memory. Times: Friday and Saturday: 6:00 p.m. - 10:00 p.m.
Sundays and Weeknights: 6:00 p.m. - 9:00 p.m.
Woodland Lights offers a fantasyland of holiday lights and displays along a half-mile wooded path. The month-long festival enters its 23rd season with more lights, more vignettes, and the same winter whimsy that enchants thousands of visitors every year. Magic is in the air at Kingwood Center Gardens for the 2015 holiday season!! Kingwood will host a variety of activities and enjoyments such as live music, dozens of uniquely trimmed Christmas trees, a beautifully decorated Greenhouse, outdoor light displays and so much more! The Annual Holiday Light Display at Stadium Park has been part of the community for over 15 years. The light display is FREE and open to the public with an enjoyable drive through stadium Park. The lights are on from approximately 5pm to 11pm. We are going to take you on a two mile drive around the park, letting the lights sparkle in your eyes and the music will warm your heart. We have a moving light tunnel, 3D mapping projection, and the 2016 finale show “Let it Glow”. The Let it Glow finale is an interactive light show where you can get out of your cars and see our 46ft pixel-mapped fully programmable Christmas Tree timed to music! Also enjoy warm drinks and snacks!!! On certain event days, we will also have meet and greets with Santa, Anna & Elsa “The Snow Sisters” and reindeer! Check the website for character’s appearance schedule. If people buy their tickets prior to the day of the event they will receive a discount and will enjoy early admission to the event at 5 p.m. The zoo will be decorated with thousands of lights and many lightened displays. Every twenty minutes guests will enjoy a spectacular lighting show synchronized to music. The event will also include visits with Santa, a S’more’s station, that people can roast their own marshmallows, carousel rides, train rides and more. Last admission, 8pm. Estate is open until 9pm. Tickets: Non-members: $18 adults (18+) , $7 youth (6-17). Stan Hywet Members: $14.00 adults, $6.00 youth; Children 5 & under are free. College students qualify for the youth rate with a valid school ID. Parking: Free on-site parking is available in our main lot. Once the lot is at capacity, guests will be directed to two auxiliary lots. Admission: FREE – Donations appreciated. 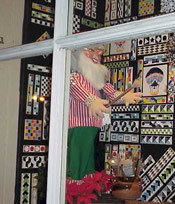 A walk-up Christmas display with over 200 animated figures-a wonderful holiday family tradition! 70,000 lights over 2 acres | 2/10 of a mile off route 30 in Dalton! Christmas trees and smaller trees in containers. Cut-your-own or pre-cut pine, spruce and fir.